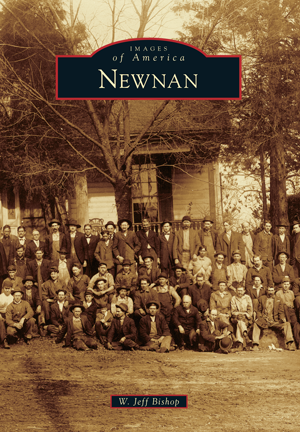 Newnan, founded in 1828 in the rolling Piedmont section of west Georgia, has long been known as the "City of Homes." While many small towns in the South have been burned, bulldozed, or transformed by industry and development, Newnan retains much of its 19th-century charm and elegance, including more than a dozen restored antebellum homes and a 1904 courthouse on the downtown square. The town produced two of Georgia's most progressive governors and provided writer Erskine Caldwell with his earliest, formative memories. Newnan is the small town that country music singer (and native son) Alan Jackson immortalized in his hit song "Little Man"; in these pages, readers will see the "old Lee King's apothecary" and other downtown buildings that Jackson found so inspiring during his childhood. W. Jeff Bishop, a writer and public historian, serves as the coordinator of the Newnan-Coweta Historical Society. This collection, from the archives of the historical society, contains many previously unpublished photographs that span nearly two centuries.